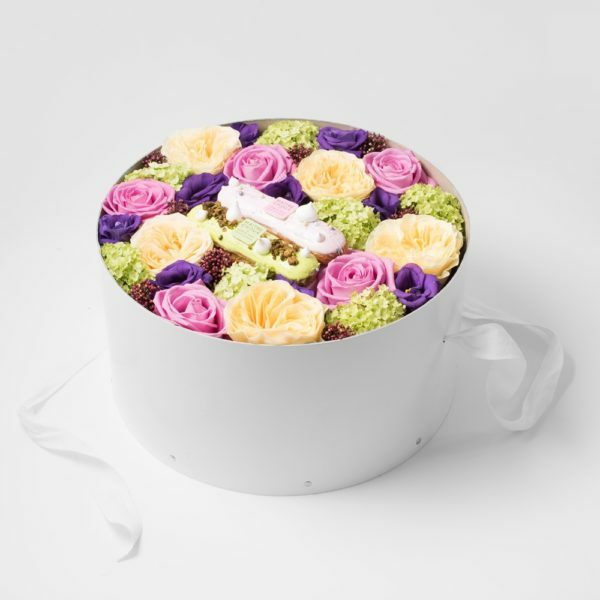 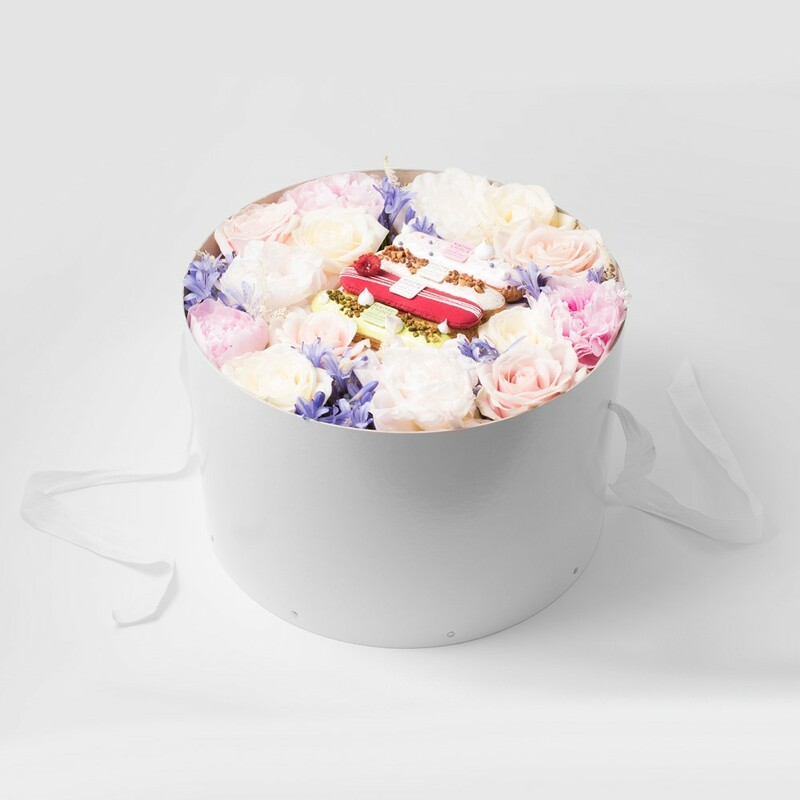 Our Mixed Flowers Choux Box is a truly unique and opulent gift idea. 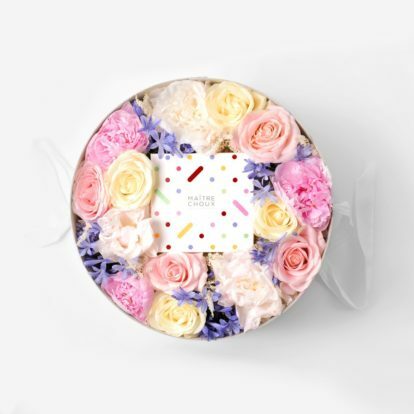 It brings together indulgence and luxury with a selection of two Maitre Choux eclairs nestled within delicate seasonal mixed flowers in a beautiful box. 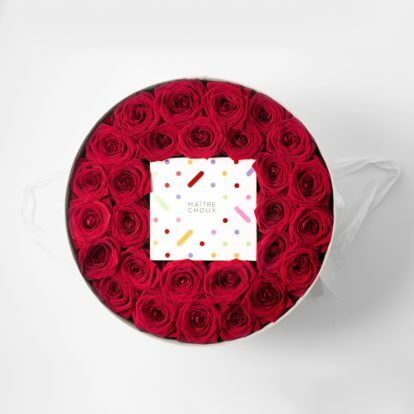 Click below on View Product to pick your flavours! 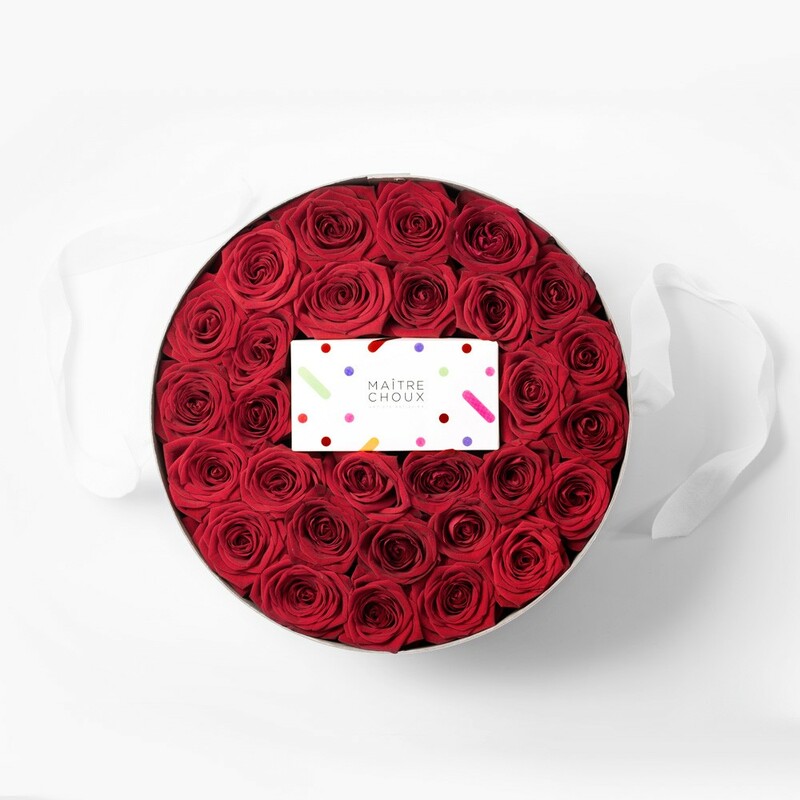 The box contains two eclairs of your choice safely packaged for delivery. Please pick your flavours below! 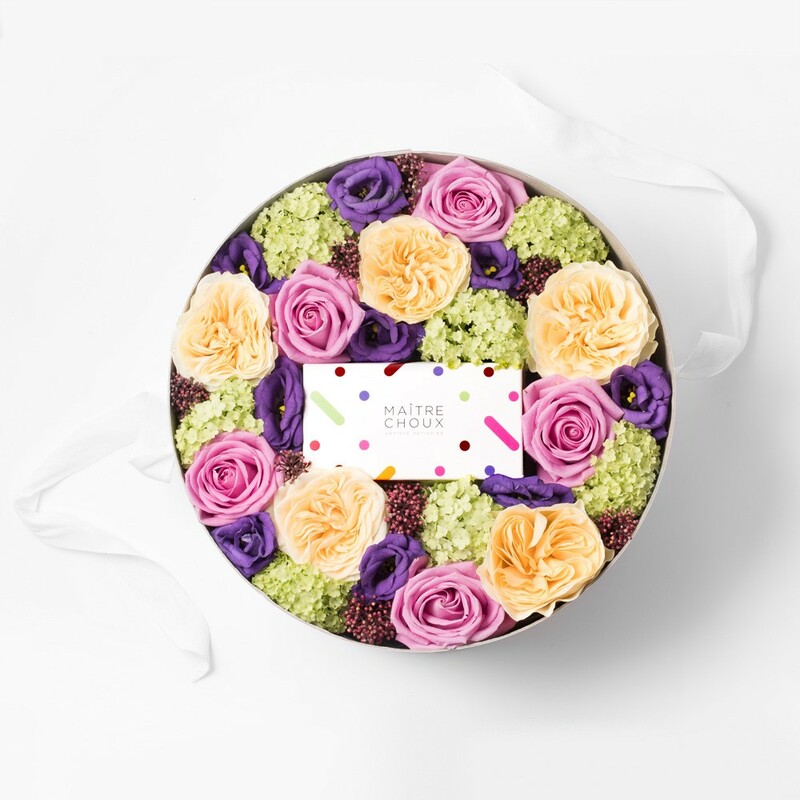 The box contains four eclairs of your choice safely packaged for delivery. 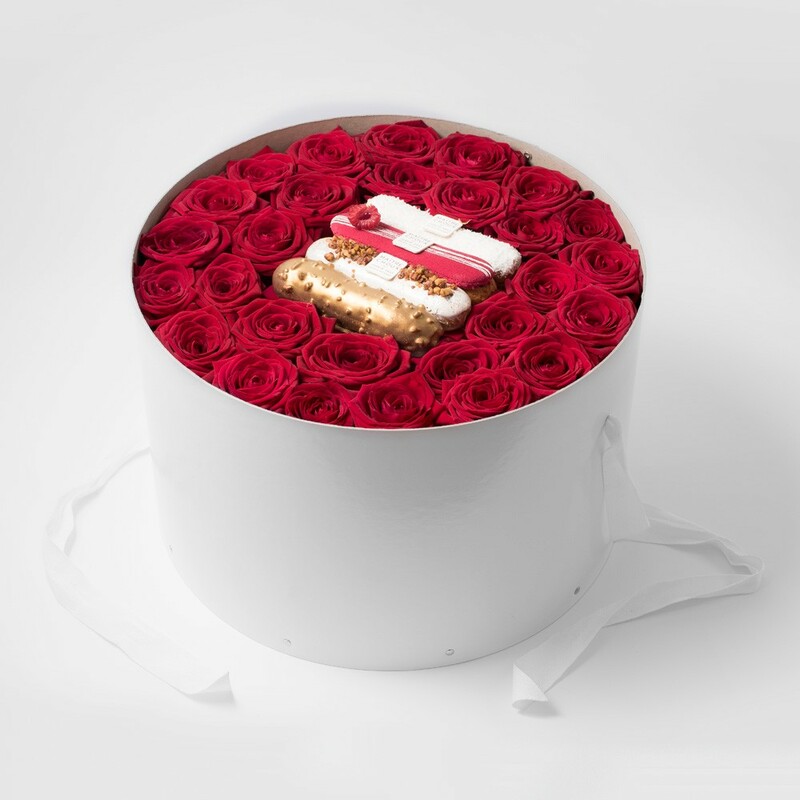 Our Red Roses Choux Box is a truly unique and opulent gift idea. It brings together indulgence and luxury with a selection of four Maitre Choux eclairs nestled within delicate red roses in a beautiful box. Our Red Roses Choux Box is a truly unique and opulent gift idea. 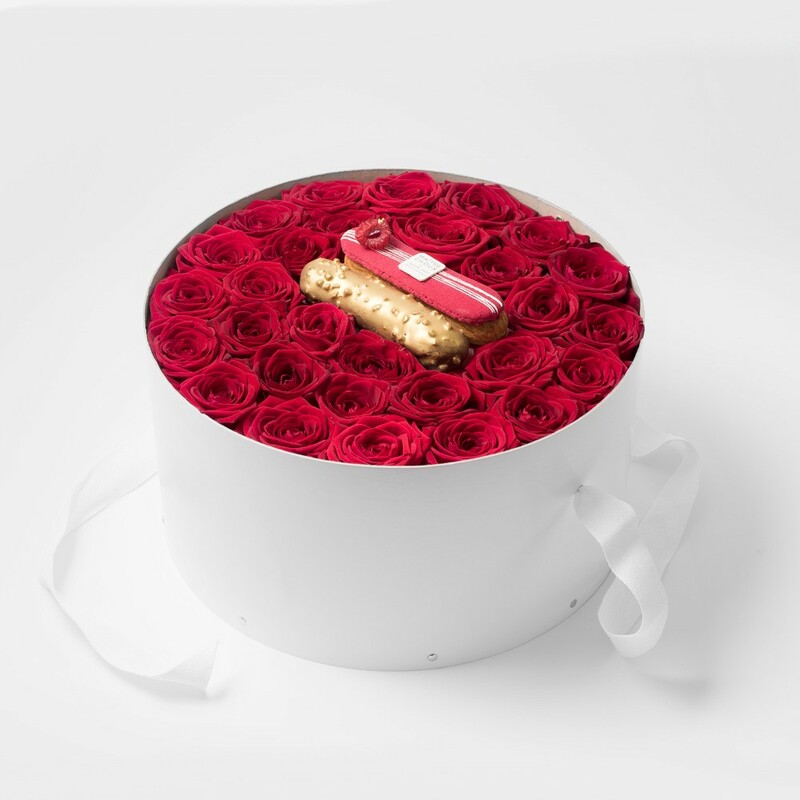 It brings together indulgence and luxury with a selection of two Maitre Choux eclairs nestled within delicate red roses in a beautiful box.